We begin with an opaque gray surface gone translucent with water, slicking a new pane of vision onto the parking slabs, through which we get a glimpse of the black-and-white sky with a jet streaming across it. 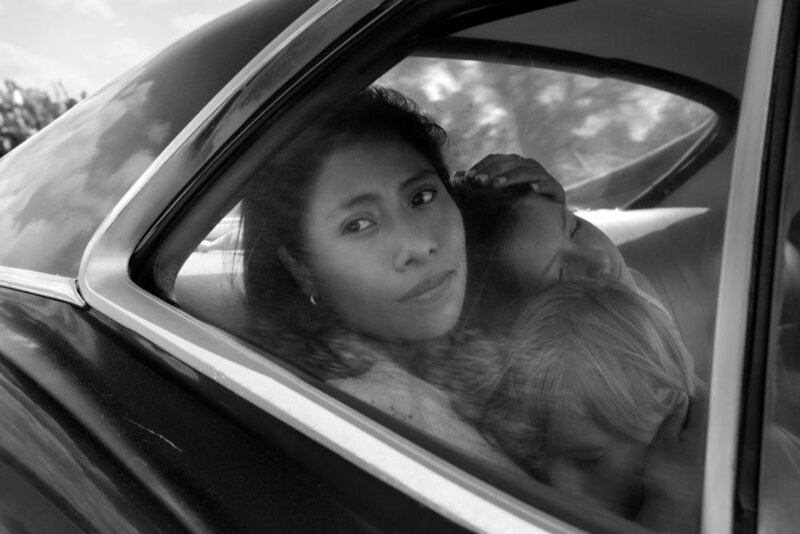 We end with the almost-silent heroine climbing an exterior set of stairs up into that same sky, with likely the same jet marking the limits of the quasi-Proustian transcendence Cuarón imposes on this fantasia of his 1970s childhood in Mexico City, a politically vapid elegy for the lost kingship of the middle class. Only our heroine’s face, indigenous and all-absorptive, is no replica.